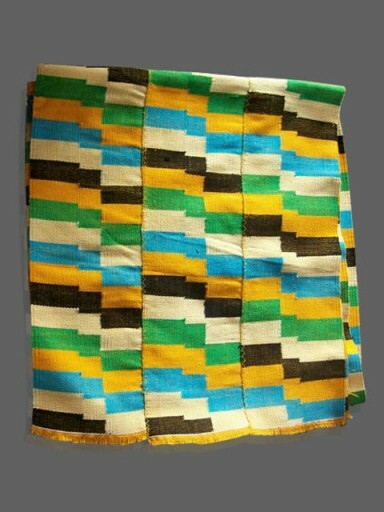 • Beautiful Genuine kente cloth scarves at affordable prices! • Makes the perfect gift item! • Designer ensembles available! 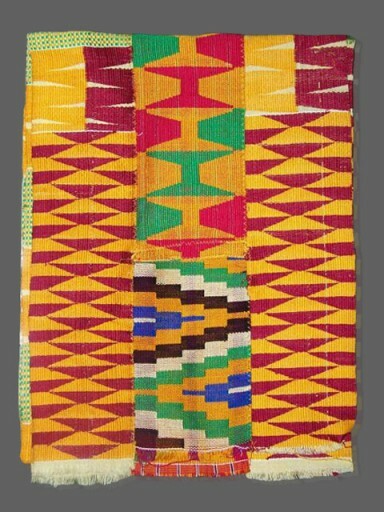 Kente cloth has its origin with the Akan people. 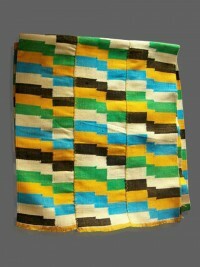 It is a royal and sacred cloth worn only in times of extreme importance and was the cloth of kings. 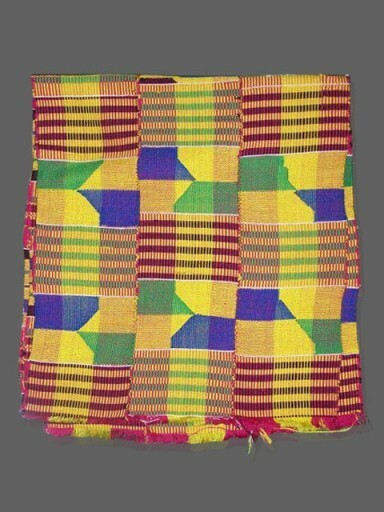 Over time, the use of kente became more widespread. All of the kente scarves at AfrikBoutik have been created by the Ghanaian artisans using the traditional methods of their people. The African continent has produced a great diversity of artwork from prehistoric times to the present day which takes many forms and as such is made from many different materials. All of the items you’ll see here are the creation of the finest craftsmen available, and are true representative of their culture. All of our artisans handcraft their native craft, Traditional African Clothing which are made from fabrics using the batik method; this essentially means that the fabrics have been printed with designs using a hand dying method. 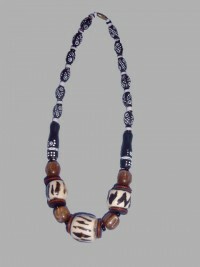 Also, making each jewelry item unique as well as individual in the traditions of the people and tribes where the art were originated. To ensure that you always have access to the finest and latest items available on the African art market, we are constantly adding new artisans and new items for you to choose from. We encourage you to leisurely browse through our vast collection of Handmade Jewelry which has become more precious than ever, as jewelry-lovers seek out products with a story. Our designers create handcrafted jewelry with unique motifs, methods and materials. We sell a wide range of fair-trade, superior quality Djembe Drums for both the beginner and professional player. 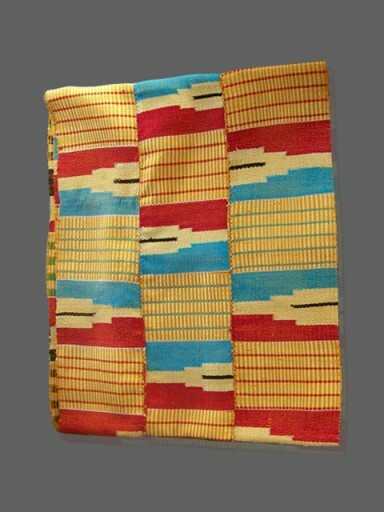 In addition toTraditional Clothing embossed with bright and colorful designs made by skilled dress makers in Ghana. A wardrobe is never complete without genuine Leather handbags for every occasion. Our stylish new range of handbags and purses add a classy and economically viable way which enable every individual to fulfill his or her dream. 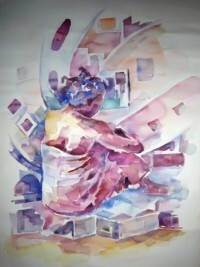 Our exquisite collection of Art Paintings splendidly capture the essence of culture and a way of life. They are like no other pieces you will see elsewhere are here presently at AfrikBoutik to buy with worldwide shipping provided for your convenience. You’ll find many opportunities to purchase quality gifts for your home, your friends and yourself. You can shop with confidence, because every purchase is backed by our guarantee of authenticity, and our unconditional money-back guarantee policy. Each purchase you make from our store is making a difference in the lives of our artisans and craftsmen and is helping them sustain themselves economically. Explore their fascinating cultures, and select from our store which is your one stop shop to buy fair trade handicrafts and gift items. 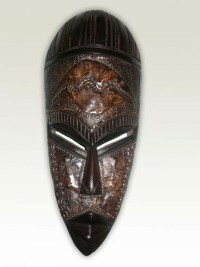 So be apart of the rich culture when you buy any of our pieces. You will be sure to experience the warmth of the Dark Continent. What are you waiting for? Start shopping now! You can order safely from us with the knowledge that our site is totally secure and that you will receive the best attention at all times. We pride ourselves on our collection of contemporary and traditional African art including our African masks and abstract sculptures. 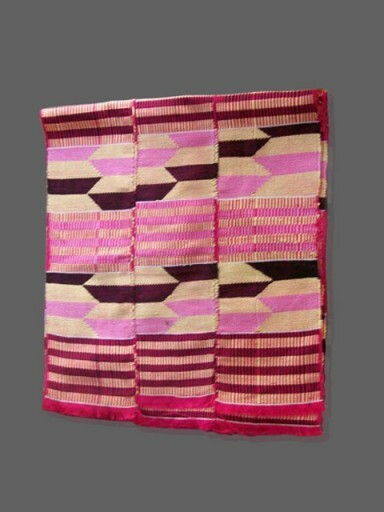 Order One-of-a-kind authentic handcrafted African Art and Gifts such as African Masks, African Oil Painting, Leather Bags, African Jewelry, Kente Scarfs and African Clothing crafted by skilled artisans in Ghana, West Africa. All shipped via FedEx, EMS or DHL.